At the tender age of 13, Shawn Stussy had already began to design and shape his own surf boards. 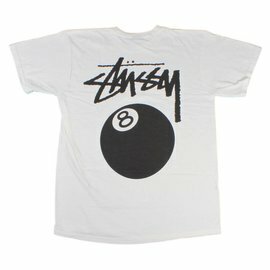 Eventually, the Southern California local turned his scrawled signature logo into the globally recognized streetwear phenomenon that it is today. 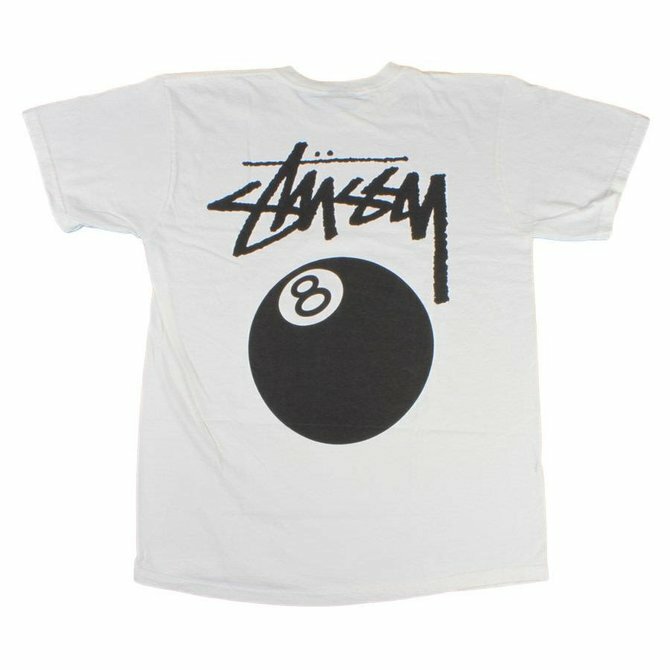 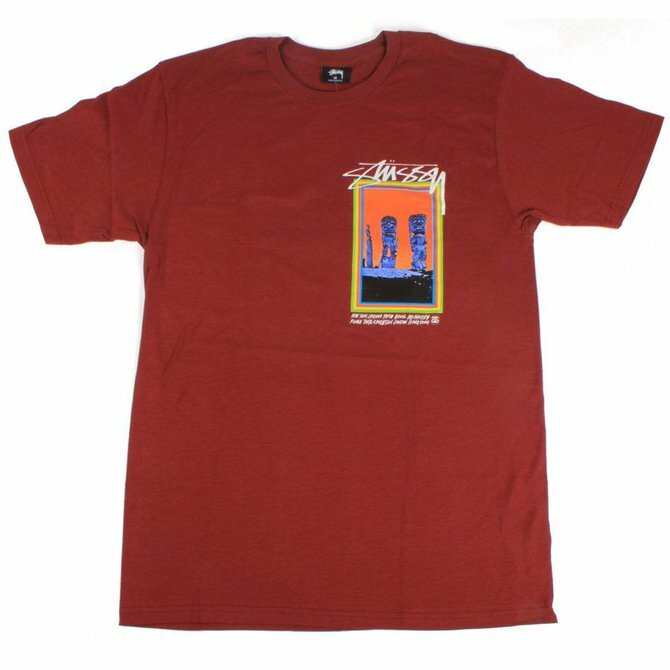 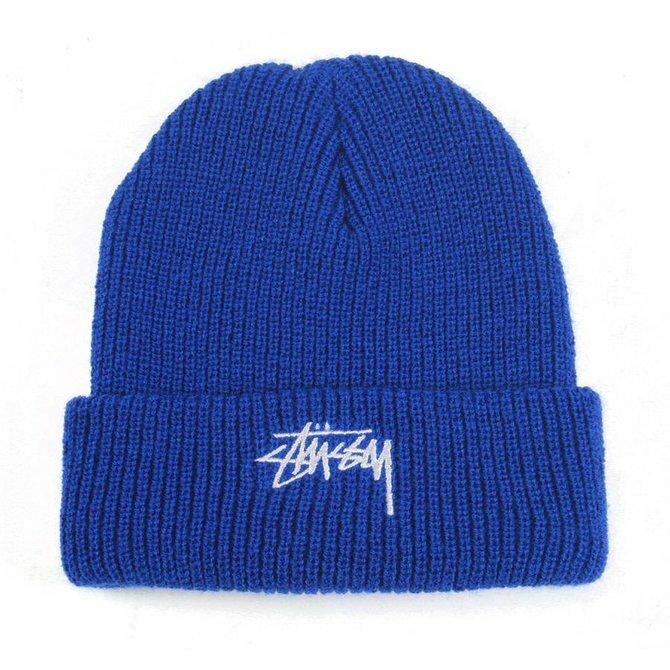 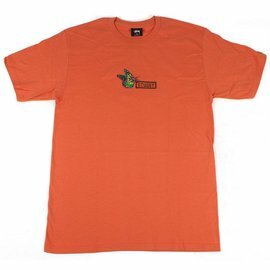 Featuring the Stussy Skateman design on heavyweight cotton. 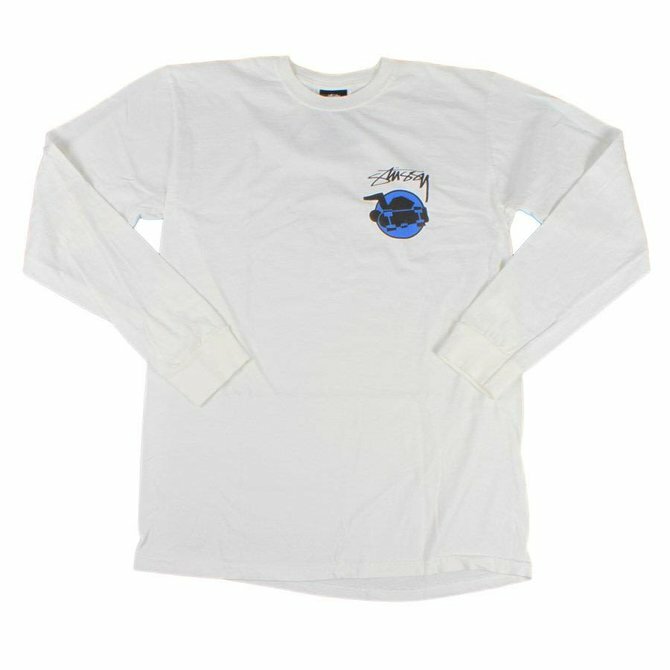 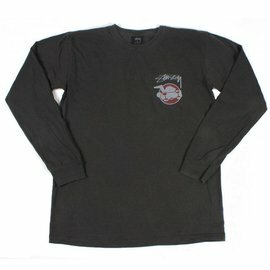 Featuring the Stussy Skateman design on a pigment-dyed cotton longsleeve. 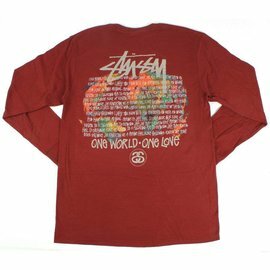 Wine ribbed-neck cotton longsleeve featuring the Stussy "One World" design printed on the back. 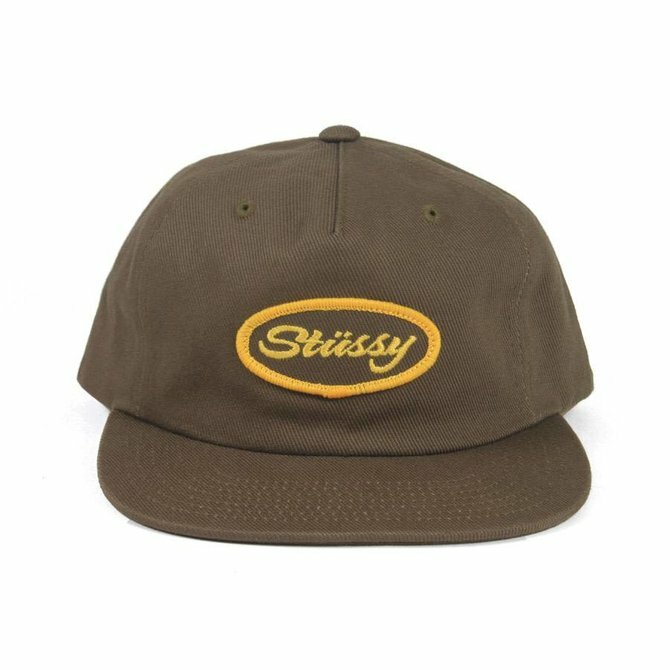 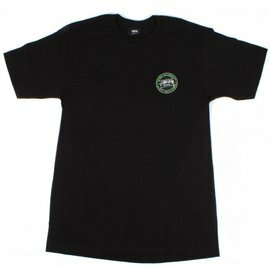 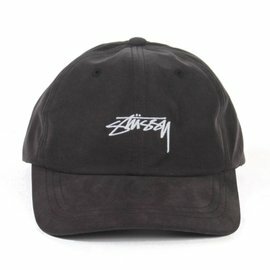 Rock Stussy in a camo-print italicized font on a wine cotton tee. 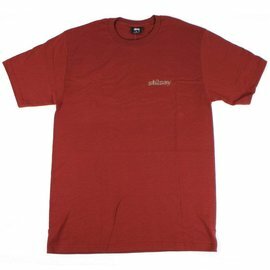 Featuring the Stussy "Tiki" design on a wine cotton tee. 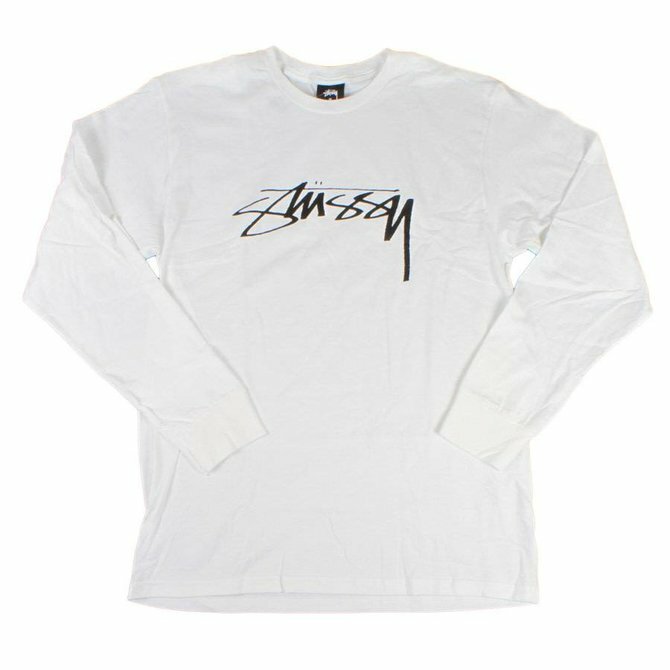 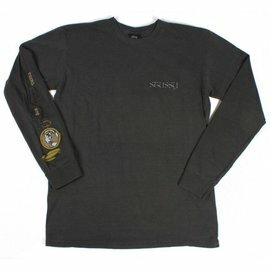 Ribbed-neck cotton longsleeve featuring a printed Stussy Smooth Stock logo. Featuring the Stussy "Stars" design on a pigment-dyed cotton longsleeve.